The 67th Primetime Emmy Awards went down at the Microsoft Theater in Los Angeles, California on Sunday. Host Andy Samberg brought the laughs, while shows like "Game of Thrones," "Veep," "Olive Kitteridge" and "Transparent" stood out as the night's big winners. 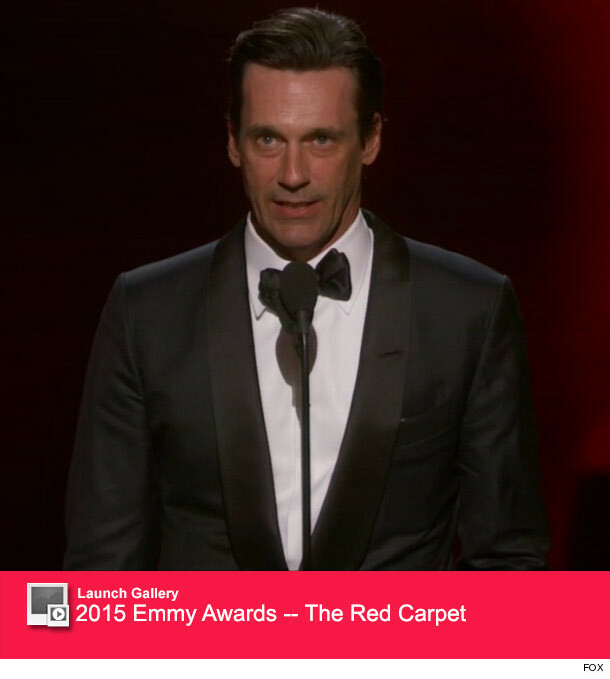 Jon Hamm FINALLY picked up an award for his work on "Mad Men," after being nominated (and losing) 11 times for the series before this year. Viola Davis also had a passionate speech when she picked out Outstanding Actress In a Drama, thanking those who paved the way for black women in entertainment. There were definitely some surprises, though -- who do you think was snubbed this year? Tell toofab in the comment section and check out all the winners from the 2015 Emmys below! See How Kylie Jenner Apologized to Jessica Alba for Body Checking Incident!